You may know Jen Atkin best as a hairstylist to the stars, who has worked with many fabulously-tressed clients like the Kardashians, Katy Perry, Jessica Alba, and more. She’s even made sure our beloved cats and dogs feel pampered, by expanding her luxe haircare brand Ouai to include pet shampoo. But now, the entrepreneur is growing her empire further into the lifestyle space, and is gearing up to release her very own luggage collection with Calpak. The travel realm is a natural brand extension for Atkin to pursue, especially considering how much time she spends on the road with her glamorous clients. She has learned exactly what she expects from her carry-ons and stowed luggage bags along the way – performance-wise and style-wise. Each piece in the Jen Atkin Calpak line is set to retail from $285 to $385 – and is meant to be entirely customizable. Suitcases and accessories come in four colors — red, pink, black and gold – and come with fun sticker sheets. You can use yours to monogram your initials on the bags, write out a fun or inspirational slogan, or decorate with Atkin’s pre-made Instagram-worthy designs. 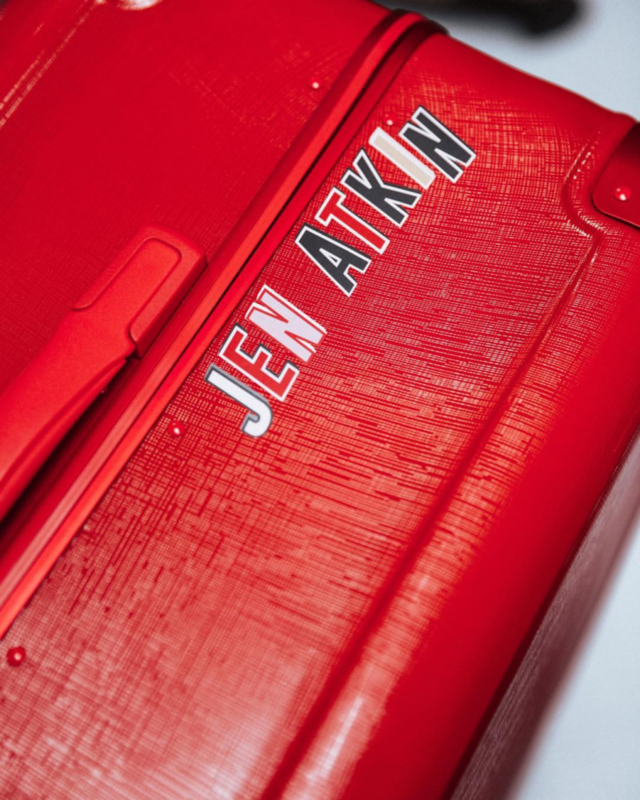 The Jen Atkin Calpak collaboration will pre-launch at a special pop-up shop in Los Angeles, open this October 27 – 30 at the Calpak Showroom on S. Grand Ave. The line will then hit stores, the brand’s website, and Calpak retailers starting on October 30. 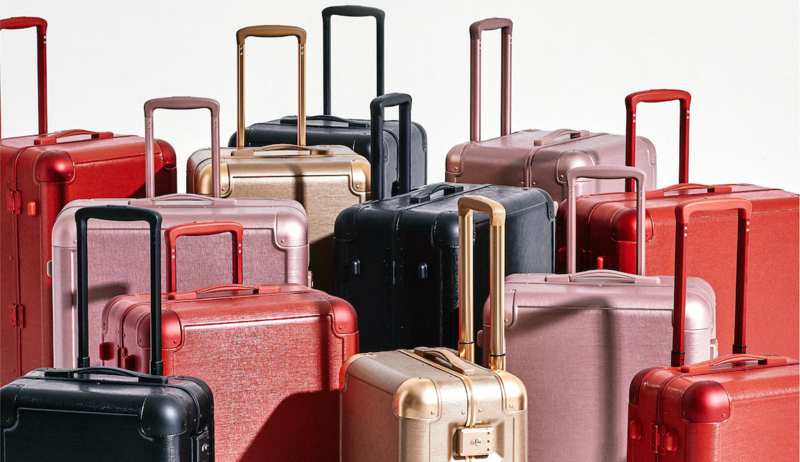 More new luggage collections to check out.